An author discharged himself from hospital after an overdose, then leapt to his death, an inquest heard. 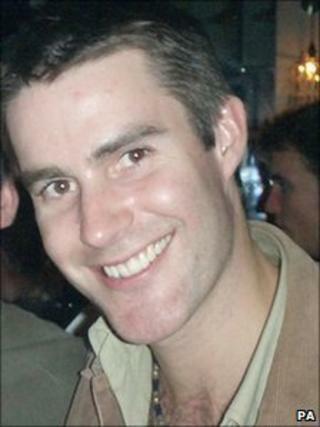 Luke Bitmead, 34, who lived in Oxford, left Great Western Hospital in Swindon in his pyjamas in October 2006. Mr Bitmead, author of White Summer and Heading South, later jumped from a multi-storey car park. His mother Elaine Hanson, from Gloucestershire, said she felt important questions were not asked by a mental health nurse. In a statement, Chris Hanson said he could not understand why his step-son had not been detained under the Mental Health Act. Mrs Hanson told the hearing, at Trowbridge Town Hall, that her son told her he had taken an overdose of painkillers on 26 October. She said Mr Bitmead's paternal family had a history of mental illness. She accompanied him to the hospital where he was interviewed by a mental health nurse. Coroner David Ridley, reading from her statement, said: "You felt there were some questions she didn't ask." Mrs Hanson left her son's bedside at 2300 BST to return home to Southrop. The inquest heard that hospital staff had left two messages on Mrs Hanson's phone in the early hours of 27 October, saying Mr Bitmead had insisted on discharging himself. Mr Ridley said: "Luke had tried to remove his lines. "The nurses helped remove them. He had been escorted off the premises. He had got into a taxi, in his pyjamas. "You didn't understand why he had been allowed to go." The hearing heard Mrs Hanson then learned her son had jumped 30ft (9m) from a car park in Swindon. Celia Moore, the mental health nurse who assessed Mr Bitmead, told the hearing her job was to assess the circumstances surrounding the patient's admission to hospital, and not to detain patients.